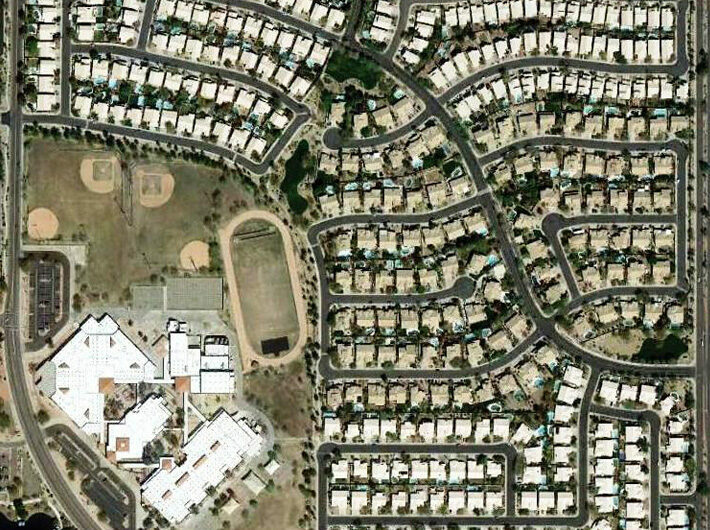 One of the first mini-master planned communities in Chandler. 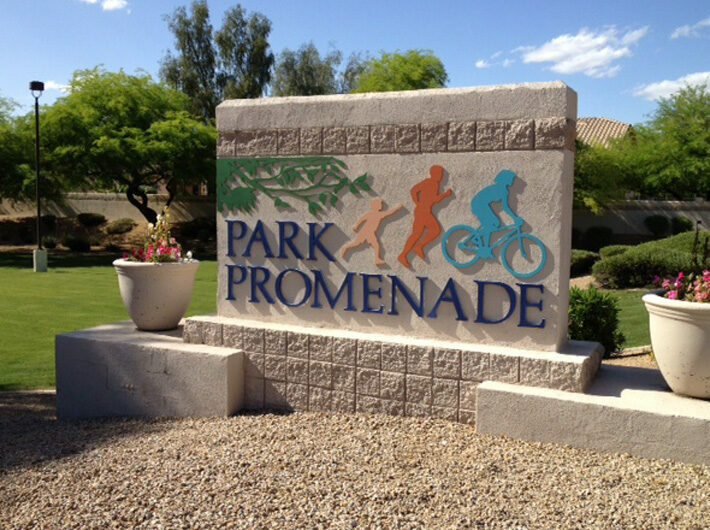 Featured unique land plan with emphasis on pedestrian connections between multiple builder subdivisions, middle school and adjacent City park (hence the name “Park Promenade”). Themed landscaping, fencing and signage, including strategically located park benches, created upscale family friendly environment. Planning, zoning and platting was accomplished together with oversight of community development. Implemented one of the first Arizona rolling lot option finance programs for builders. Negotiated sale of land to school district.